For over 30 years Kindermusik has been and still is the world’s most respected name in musical learning for young children. 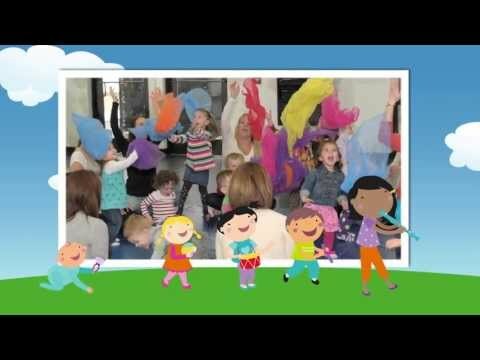 Every aspect of the Kindermusik program is grounded in these core beliefs: every child is musical, every parent is the child’s most important teacher, the home is the most important place for learning to take root and grow, and based on research, music nurtures a child’s cognitive, emotional, social, language and physical development. From birth through seven years of age, with the caring guidance of a trained and licensed Kindermusik educator, your child can grow with Kindermusik without pressure to perform, only encouragement to explore, express and discover. You’ll see a developmental evolution in language skills, literacy, listening, problem solving, coordination, social skills, self-esteem and musicality! Because of its belief that the home is where learning takes root and grows, Kindermusik classes include home activities, music, parent education info, and sometimes instruments. Suggested activities might be as simple as asking the child to listen for loud and quiet sounds in the kitchen. Exposing children to strings, opera, jazz or choir recordings not only challenges their attention span but lays the foundation for an appreciation of those music genres later in life. The Kindermusik philosophy springs from genuine respect for each child’s individual rate of development. Class activities and at-home materials are designed to honor, support and celebrate the wonderful uniqueness of each child. Learn more about each Kindermusik class under Class Descriptions.